Thinking about becoming a commercial real estate investor? 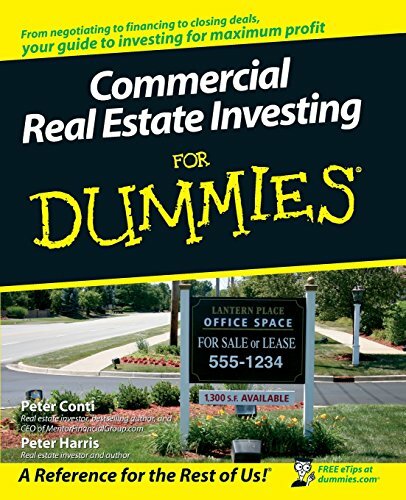 Commercial Real Estate Investing For Dummies covers the entire process, offering practical advice on negotiation and closing win-win deals and maximizing profit. From office buildings to shopping centers to apartment buildings, it helps you pick the right properties at the right time for the right price. Investing in commercial property can make you rich in any economy. 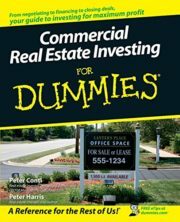 Get Commercial Real Estate For Dummies, and find out how.